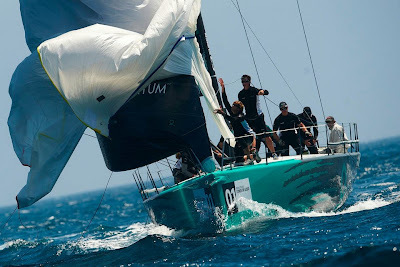 Το Quantum Racing κέρδισε την πρώτη ρεγκάτα του 52 Super Series στη Βαρκελώνη μπροστά από την Ιταλό-Αργεντίνικη ομάδας του Audi Azzurra Sailing Team. Την τελευταία μέρα δεν έγινε καμία κούρσα μιας και το βασικό συστατικό για να κάνεις ιστιοπλοΐα έλειπε... δεν είχε αέρα. Μετά από 2,5 ώρες αναμονής για την μπουκαδούρα που ποτέ δεν ήρθε η επιτροπή αγώνα ακύρωσε τον τελευταίο αγώνα και έτσι ανακηρύχτηκε το Quantum Racing νικητής της ρεγκάτας. 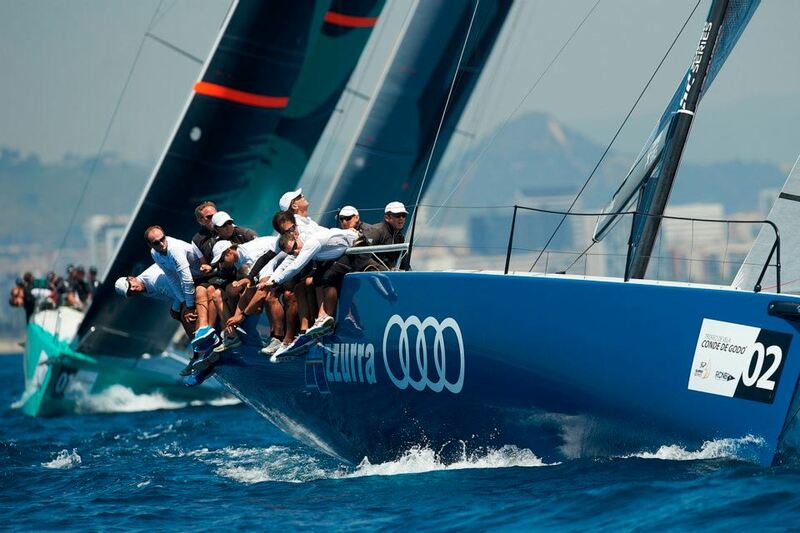 Με τις υπόλοιπες ομάδες και κυρίως την Audi Azzurra Sailing Team, με το ολοκαίνουριο σκάφος, να περιμένουν τον επόμενο αγώνα το Audi Sardinia Cup που θα διοργανώσει το Yacht Club Costa Smeralda τον επόμενο μήνα. Το Quantum Racing ξεκίνησε τον αγώνα μέτρια, με ομολογία του τιμονιέρου του Ed Baird, αλλά με δυνατότητα βελτίωσης, και την τελευταία μέρα με 2 άσσους κατάφερε να βρει το ρυθμό του. Το Audi Azzurra Sailing Team από την άλλη μεριά δεν υστέρησε καθόλου έναντι του Quantum και αυτό φαίνεται από την βαθμολογία καθώς τα δυο σκάφη ισοβαθμούν με 14 βαθμούς. Το νέο σκάφος που σχεδίασε το γραφείο των Botin Partners και είναι αδελφό με το Quantum Racing, έδειξε ότι έχει καλή ταχύτητα σε όλες τις συνθήκες και σε όλες τις πλεύσεις. Στην τρίτη θέση τερμάτισε το RAN που είναι πολύ πιο ανταγωνιστικό από την περσινή χρονιά. Μόλις 2 βαθμούς πίσω από τους δυο πρώτους και μάλιστα να είναι και το μόνο σκάφος από το βάθρο που ο ιδιοκτήτης είναι και στο τιμόνι του σκάφους, σε αντίθεση με το Quantum και το Azzurra που το τιμόνι το κρατάν επαγγελματίες ιστιοπλόοι. “It was really nice to do well. We dug ourselves a little hole on the first day and it is nice to have come back from that and get back in the front. Obviously the competition is amazingly close, and you have to watch everything that you do, do it very well. And so you look forwards to the next event which is not too far away. We have sailed against these teams a lot and so the level is as high as we expected. 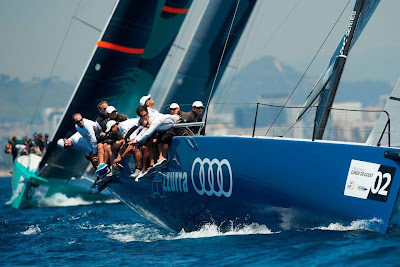 The Azzurra guys have a new boat which they know a lot about because it is the same design as ours, and we expected it all to be tough. Rán have stepped up their game since last year and it is tight. I am really excited about our boat because there are so many things which we have learned, even in the off season, studying the data and the pictures. We made some changes which have been helpful in making the boat go better. That covers a lot of things: we have made some changes in sail design and we have changed the way we handle the boat in certain situations. And that is exciting to see that happen from our desks, really because we did not have to be on the water to see the analysis and make the changes. “We are pretty pleased how well we did on Rán. 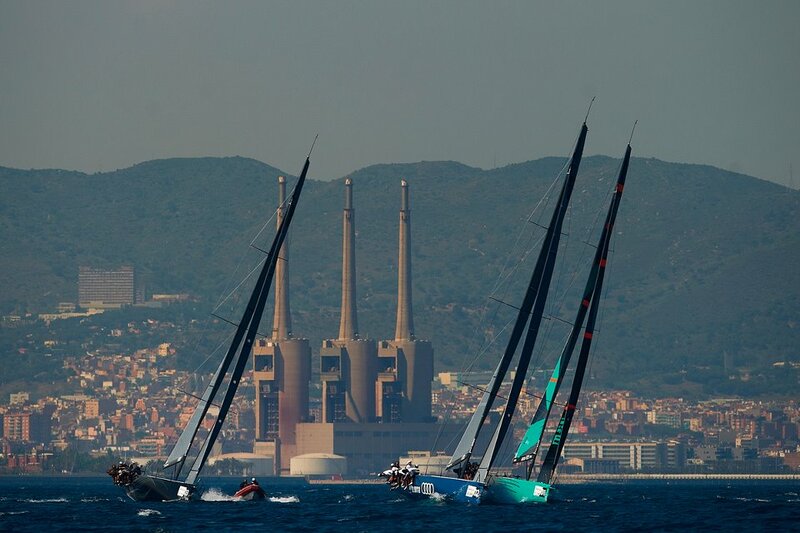 We have some things that we can work on to improve but we finished the Barcelona Regatta two points behind places 1 and 2 which is all good for the rest of the season. I think we have improved ourselves as a team and we leave this regatta more confident as a team than maybe we came into it. With five boats it is a bit of a different situation on the race course in terms of boat for boat situations, it is great. The Barcelona event has been a good one for us. 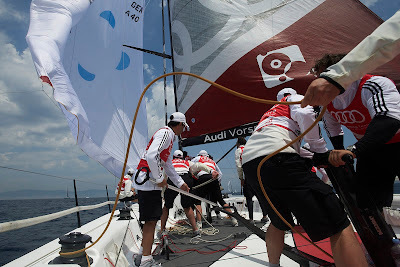 This is my third event now with the team and it is quite and improvement and things are going along much better, we are sailing more consistently and at a higher level, so that is really good. Even at 16-18kts of breeze on the second day, we were right in there and competitive with these guys until the finish gate. It is kinda tough racing against newer boats with full pro teams, but we are doing the best we can and it is getting better and better and it is a lot of fun. Tony is definitely blossoming. He is doing a great job, he is getting more and more consistent, he sees us all getting better together and everyone putting a lot of hard work in and we are having a lot of fun together. 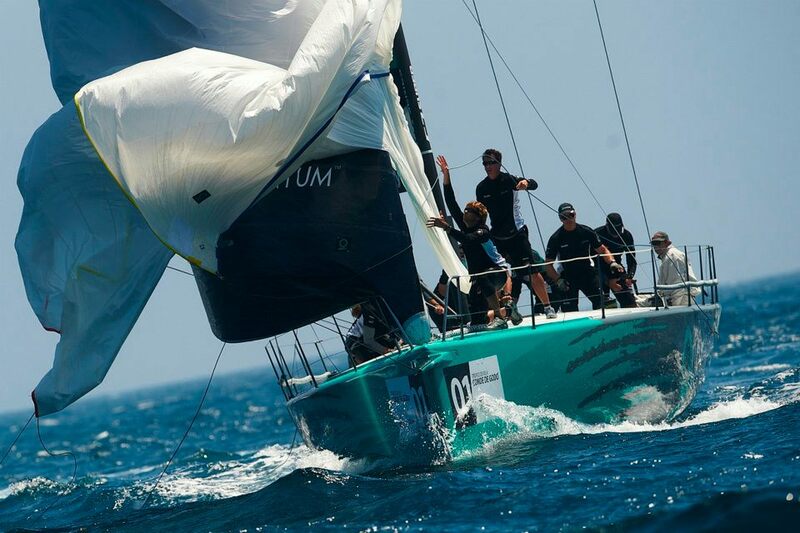 It might be a little daunting for an owner-driver to say he wants to go do the 52 Super Series because it is a high level, it takes a lot of infrastructure, a lot of time, a lot of people around. But if we can get some IRC 52’s in and let people get a taste of it, then we could get some of them for next year. I think Tony is seeing the progression that we have made, we are much closer finishes and we are in every race and that is what is good. “We are reasonably happy. We knew it was going to be tight and it is tight. To leave here level on points with the lead. Tomorrow I go home to be a father, so it is all good. Barcelona has never been our favourite places in the past for results, and so this is as good as we have done here. So I think it is good and we are going to Porto Cervo, our home waters which we know well, we are in good shape. For us we came here without big expectations, knowing that most of the teams had already started their season earlier and so it was a little bit more of a testing event for us here. We had delays preparing the boat and a technical issue which meant although we had planned four days of training, we could not do them. The good news here is that we were in the game, we could play. We did not get a chance to test in the really light stuff, but we have some new sails coming for the next regatta. We did some line ups today and it was encouraging. So we were happy after here. The ALL4ONE concept has always been a Franco-German one initially but now it is more European and when we are in Spain we will sail with more Spanish sailors. 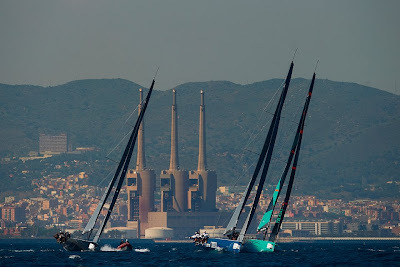 So it is a mix, young up and coming guys and we will have Jordi Calafat in Palma, so we try to have a mix of young promising sailors and the goal is to mix the best crew we can, knowing we can’t afford all big star names.